You guys know I’m a donut lover. If you follow me on Instagram you’ll often see me indulging in the delicious mini donuts from Art City Donut Truck but if you don’t have one near you can make yummy mini donuts at home. 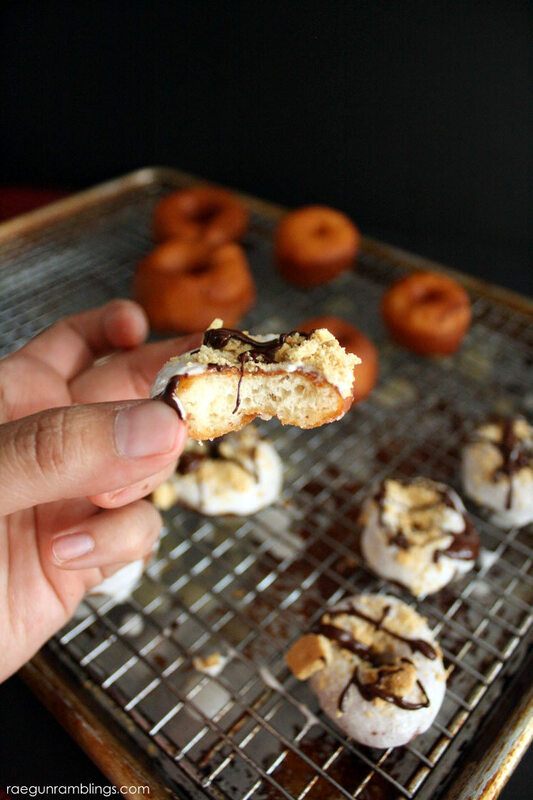 Today I have yummy and S’Mores Mini Donuts Recipe. If you’ve never tried making donuts at home before they are surprisingly easy and the flavor of a freshly fried warm donut cannot be beat. In a large bowl proof the yeast by sprinkling over warm water and letting sit for 5 minutes or more. Yeast should be foamy. If it’s not foamy your yeast might be too old or your water might have been too hot and killed them. Add milk, sugar, salt, egg, shortening, and 1.5 C flour. Mix on low. Slowly add in flour 1/2 a cup at a time until your dough starts to pull away from the sides of the mixing bowl. Knead for a few more minutes. Turn dough out spray the bowl with spray oil and put the dough back in the bowl covered to rise. Set in a warm place until it doubles in size. You can speed up the rising process by sticking it in the oven with the light on and a bowl of warm water and the oven door closed (but not on). Next turn the dough out onto a floured surface. 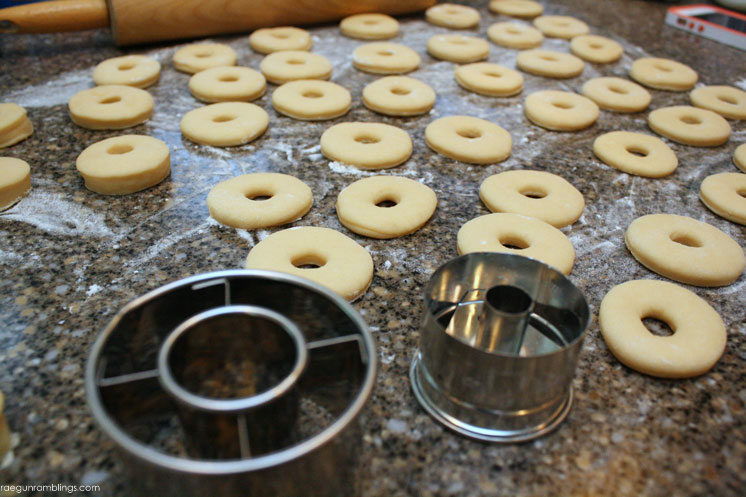 For mini donuts roll the dough to about 1/4 inch thickness. For regular donuts use 1/2 inch thickness. Then cut with a donut cutter like this one. 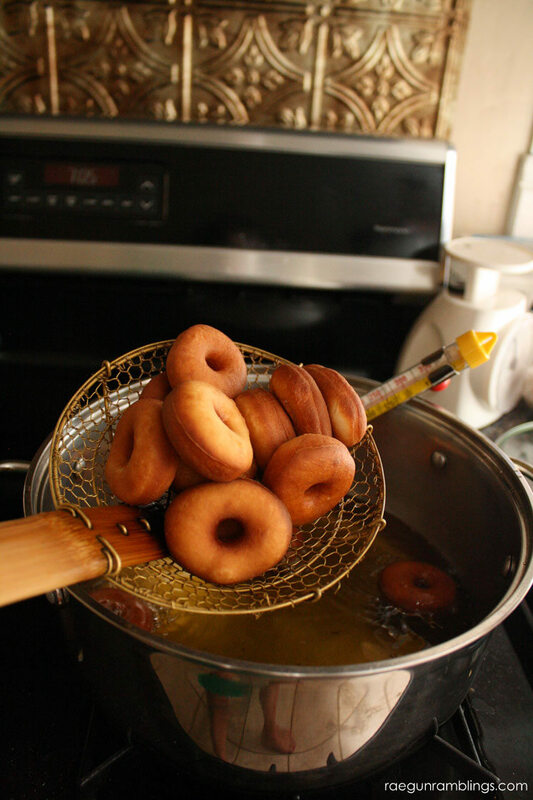 Heat oil to 300 F and fry donuts flipping to get both sides golden. Pay attention they will fry up fast! Mix the Marshmallow fluff with some water and microwave. I just did a heaping tablespoon of fluff to a couple tablespoons of water and stirred. Melt the chocolate in the microwave in 30 second increments until they are 80% melted and then stir to finish melting completely. Break up some graham crackers. To glaze the donuts dunk the warm donuts in the marshmallow mixture and then top with the melted chocolate and graham cracker crumbs. Super easy and SUPER tasty. I hope you like the recipe. 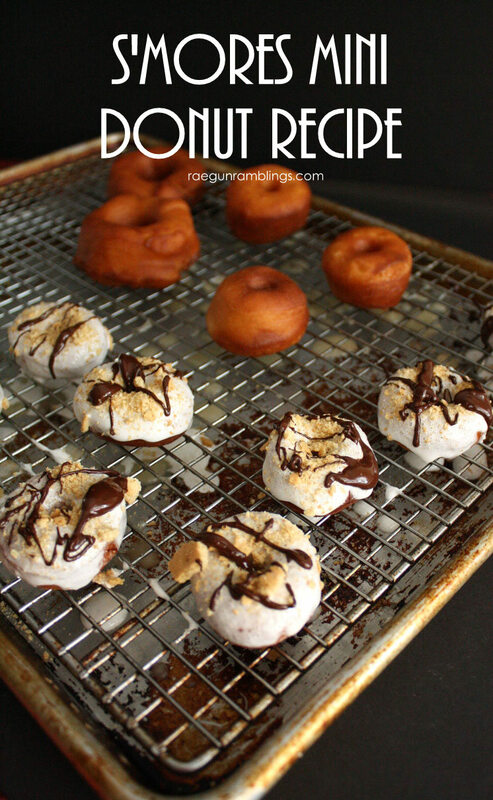 For more donut ideas check out my basic mini donuts and delicious peach donut recipe. I originally share this recipe on Mrs. Homemaker as a guest post on 9/25/2015. These look amazing! They’d be so fun on Thanksgiving morning. Thanks for sharing with us at the Merry Monday Link Party! Hope to see you again on Sunday night! Ahh!! 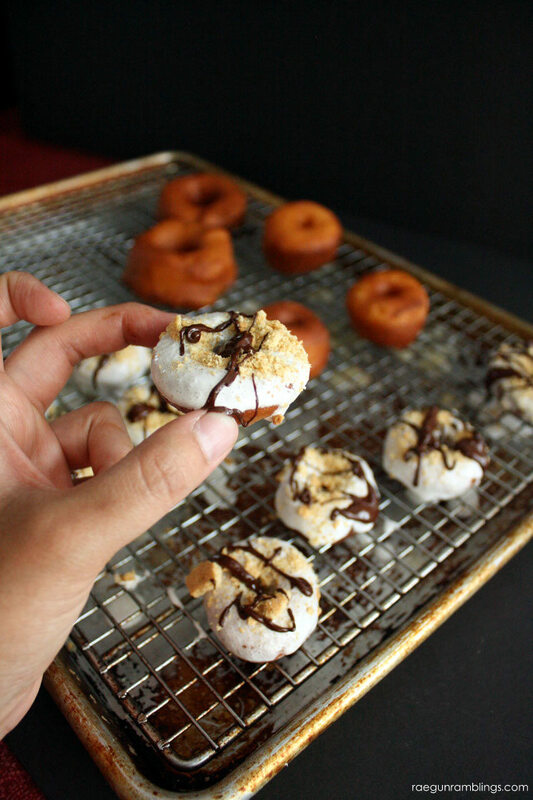 S’mores donut looks absolutely delicious. I want to grab one from the screen and have it. Will have to try your recipe someday.Thank you for sharing with us at #HomeMatterParty. We would love to have you again next week.